A recent article from Huffington Post alerted us to this new trend. Troy University Library’s Dean, Christopher Shaffer installed FitDesk exercise bikes into the library, because: “Humans aren’t meant to sit all day.” He cites the impact of physical movement and wellness on mental focus and hopes to give students the ability to study without being sedentary. Troy is just one of many university libraries that are installing bikes in order to encourage more active studying (Clemson University is another), and students and faculty are loving them. 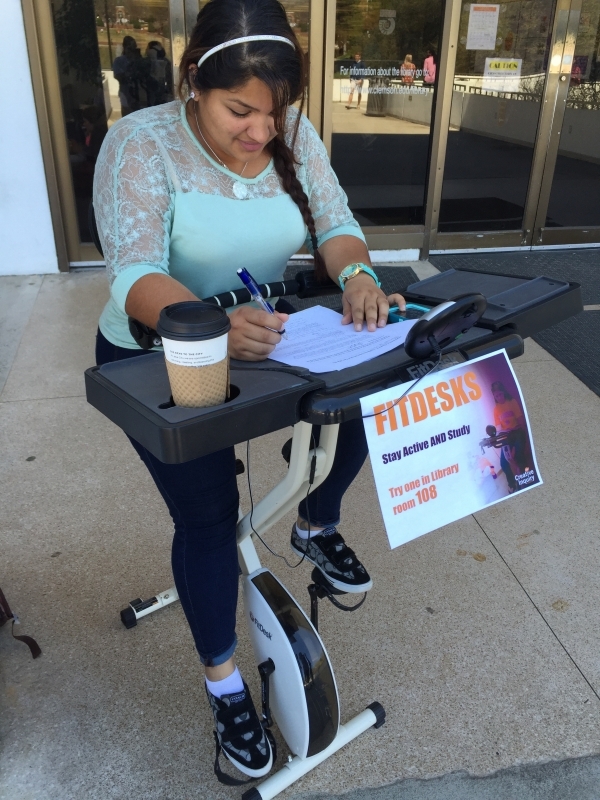 FitDesk bikes are priced rather inexpensively, so gather some faculty and students and get your administration on board–and in the saddle!